When I first started playing softball at age 5, I never would have guessed that I would end up where I am now – calling games on ESPN and coaching young softball players all over the country. Softball teaches and allows young girls to experience more than just striking people out and hitting a home run (yes, I know, those are 2 of the best feelings in the entire world). But SPORTS have the ability to teach us so much more than what meets the eye. Playing on a select tournament team led me to my current passion that I have for traveling. I loved going to the tournaments that were outside of Houston, inside of Texas, but what I really enjoyed was getting a chance to visit states like Florida, Arizona, California, Oregon, Colorado, and many others. I even got to go play in Australia when I was in 7th grade against teams from Japan and teams from within Australia. Had softball not been a part of my life, I may have never gotten to have these amazing travel experiences. I consider travel such a great way to explore the world and to get to know another culture and another state. I remember being a young girl and going to a different state and just taking in everything about it from the way that their highways were different than ours in Houston to how the houses were built differently. It’s fascinating to me and such a good learning experience. This traveling continued and increased once I got to Texas A&M as we traveled almost every other weekend in the spring. I have such a passion in my life for travel now, which works well since I am always traveling outside of Houston for camps/clinics/television games. Also of course, I love to do it for fun as a hobby, as I have been to many different countries including, Australia, Thailand, Dominican Republic, Honduras, and many countries in Europe. It’s because of travel, I want to make memories all over the world. Little did I know that even as a young girl I was networking for my future. You parents may laugh at this one, as networking seems like a concept that you really only start once you get to college. But for me, I look back and that is just not true. I am still in contact with so many amazing coaches and adults from my childhood. It may have been years since I last spoke to some of them, but they always have a place in my life as we shared a bond growing up from softball that will always tie us together. I had no idea that…. …. while my coaches were impacting ME, I had the ability to make an impact on THEM even though I was much younger. Imagine that. The networking and relationships formed does not just deal with the people who were adults when I was growing up, but also with my teammates I played with on various different teams. We now have a new relationship as some of them are coaching collegiately across the country. Now our relationship is not based on a competitive “team spirit,” but with me talking to them about potential players they may want to recruit to their college teams or about a new pitching/hitting philosophy we can debate and learn from each other on. When you play a sport, it can become an instant bond with anyone you meet who played that same sport. People who were once your opponents become your friends just because of the connection of our sport. One of the most important things you can remember is that you never know the impression you are leaving on someone- teammates, coaches, opponents- make it a lasting one. And better yet, you never know where that teammate or coach or other parent might end up, head of a company, head of doing volunteer work you want to participate in, or even have mutual friends. – one of my favorite quotes and I think that it can make an impact the fastest in people’s lives. Plus, you never know who people know….. The older you get, the more you realize what a big concept time management is. When you have 40 things on your to do list and only 8 hours to get them all done, how are you going to manage your time and emotion to be able to come through? More importantly, how are you going to be able to look at that to do list and rank priorities? When you’re playing softball as just a kid, already you’re learning how to balance your time with practice, school, homework, lessons, friends, quiet time, family, church, other sports, extra curricular activities and games. And let’s face it, it’s hard. That’s a lot to try to manage, especially as a 12 or 13 year old. But like anything, your body and mind learn to adapt to the challenge gradually as you take on a little more and a little more. This time management helps build accountability and dependability– if you’re young, I know these are big words, so my best example to you is just imagine you told your friend you would meet her at the playground and you didn’t show up because you were doing something else. Being late? It makes me anxious to even think about it. I don’t want to be late to a hair appoint, movie, party, game. Noooooo….the thought of it makes my heart beat fast. As an athlete, you learn that if you are on time, you’re late, and if you’re early you’re on time. Being late is a selfish act- even if you are not MEANING to be selfish. If you’re late and making people wait on you, you’re saying to the other people who made it there on time, their time is not as valuable as yours. You learn fast in college that there are VERY few, VERY VERY few acceptable reasons to be late. Start being on time now and create a punctual, early habit that you can take into your life post-sports. In a team setting there are so many different personalities. When you play sports, you have to pay attention to everyone’s personality and learn what the best way to is to talk to each person. Every teammate is going to be different with how you can talk to her. You learn that you do not have to be best friends with everyone, but you will respect them. So quickly on a team we learn everyone is NOT just like us, and recognize differences in personalities, opinions, leadership and attitude. Are you going to be the one who shuts down when things go wrong and someone doesn’t agree with you? Or are you going to be the one that learns to communicate and work through a problem? Ah, problem solving. One of the keys to success of the future. Being on a team puts you in a position to gain experience on this. In order to get the best results on the field, you have to manage your relationships off of the field. Managing relationships and being best friends are two separate things. Once you hit that field, nobody in the entire complex should be able to tell that there is an argument or something going on between you and a teammate stemmed from off the field problems. Understand you need seperation, aka compartmentalization. To me, there is no bigger concept in our lives than communication. Communication is a commodity in every type of relationship. If you cannot communicate, life is going to be a long, tough road ahead. Through sports as a kid, you’re on a path to communicate in many different situations to gain experience and confidence for when you are an adult. So you know you want something or you need something. It’s in your mind. How are you going to be able to articulate it so that someone actually HEARS what you are saying? a) With your Coach – I remember as a kid, one of the hardest things to do is have a conversation with an adult – whether it was to order my own food at a restaurant or talk to my coach about a specific play. (I remember the beginning times when I was about 9 maybe 10, shoot it could’ve been 8….but we were ordering pizza and my mom told ME to make the call. What? Me???) But there’s going to be an adult on the other line and I might mess up. There comes an age where it is time for a player to approach her own coach about playing time, pitch calling, or any kind mechanics questions. If you do not understand what someone is telling you, you have to learn to speak up!! That simple dynamic of a player communicating with a coach is just like an employee going to speak with his/her boss. It takes confidence, and it takes a plan of knowing what you want to say and the message you are trying to convey. It doesn’t just deal with the words that actually come out of your mouth, but more importantly HOW you say those words. 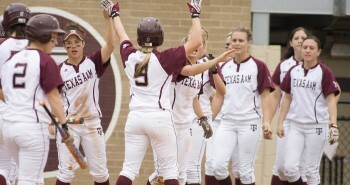 Softball teaches you how to communicate with those who are in authoritative positions about something you really want. b) With your Teammates – Communication on the actual playing field is critical to our game, or someone could get hurt. However, “hurt” can be more than just physical injuries. Important to remember that this communication is two-sided; as a player you are learning not only how to speak to someone, but also how to TAKE IN what someone is trying to tell you. You could be great at communicating TO someone, but how are you going to handle it when that person is going to start communicating BACK to you. Sports teaches you how to communicate (both talking AND listening) and how to compromise with your peers. In the real world, you are most likely going to be on another “team” in the future. You have to learn how to work together with a group of people, sometimes even your friends, for the betterment of a single goal. A big part of reaching that goal will include effective communication and being able to adjust your communication so that someone else can hear what you are saying. c) With your parents – Let’s face it – we are stuck with our parents. 🙂 To be able to feel like you can communicate with your parents is a process that does not just need to happen while you are playing softball, but lasts an entire lifetime. There are many things a player should be able to communicate to her parents about: if she feels like she is injured, if she feels like she needs a break, if she feels like she needs to practice more, if she feels like she needs more support, if she feels like her parents are being too hard on her. How a parent listens sets the example for the child of how to listen. Are you open minded? Are you someone your child can come talk to? The open communication about softball helps make your relationship stronger from growing up to when you become an adult. I was very lucky that I had parents who told me that I could talk to them about anything and built a strong relationship. They did such a good job of communicating to me that softball was not the only thing that defined me and that at the end of the day, if I didn’t want to play softball anymore, they would be okay with that. I never felt forced into playing softball, and because of that, it made me feel like I could open up to them and talk to them on rough days. Because the communication piece of our foundation was set when I was younger, our relationship only gets stronger as I get older. It’s inevitable. We are going to fail at softball sometimes. We are going to fail at SOMETHING in life. We cannot be perfect. My mom used to tell me we are all perfectly imperfect, and that’s a phrase that has always stuck with me. Softball teaches us how to be able to rebound from that failure quickly. The quicker you rebound, the quicker you will get to feel success again. How do you fail? Do you do it gracefully? Do you do it where everybody in the entire stadium knows you failed? Are you able to make an adjustment, or do you repeat the same mistake over and over again? Fail fast, but learn faster. If you are learning from your mistakes and making adjustments, you have no reason to fear failure. In the same breath that we have to learn how to fail, we have to learn what it takes to win. Not just win…but compete. A winner’s mentality does not have to be a negative, in-your-face mentality. You win gracefully AND lose gracefully. Why wouldn’t you want to win? A winning mindset is a pure WANT to win. A winner hates to lose more than he/she likes to win. A winner likes to compete – not just when things are easy, but when things are tough. Winning is a sense of achievement. A winner only knows one speed – FULL OUT, because they know if you go full out you have a higher chance to WIN. A winner knows that some days if you want to win, you have to fight. Not with someone else, but with yourself. Fight to win. Fight to be the very best you, so that more days than not, you have the higher number on the scoreboard when it’s all said and done. That number should not represent your pure physical talent, but you’re pure fight and determination to give your all every single time you take the field. There is something to be said of an athlete who has been on championship/winning teams. They know what it takes to not only get to the big stage, but compete at the big stage. They know how to handle pressure. Competing for a position, having pressure at a big job, how to win – these are things sports teaches us. Everybody likes a winner. Do you know what a dream is? Do you know what it feels like to never give up on that dream? Do you know what it feels like to fight for a dream? Softball teaches us (if we let it) a work ethic that makes us forget failure and forget people around us who may not believe in us. (On a side note, I don’t understand those kind of people. The people who are looking to pull you down instead of help you rise up. I don’t know about you, but I don’t have time for those people. I am too busy envisioning my future). When we can learn to work through failure, our dreams gain in our mind, they seem more within reach.When we can learn to push those negative, outside thoughts away, dreams can feel more tangible. A dream or goal is used as motivation. Put an idea in your head, feel it in your heart if it’s your passion and keep moving forward, outworking everybody around you along the way. Hard work pays off. Hard work leads us to our dreams. 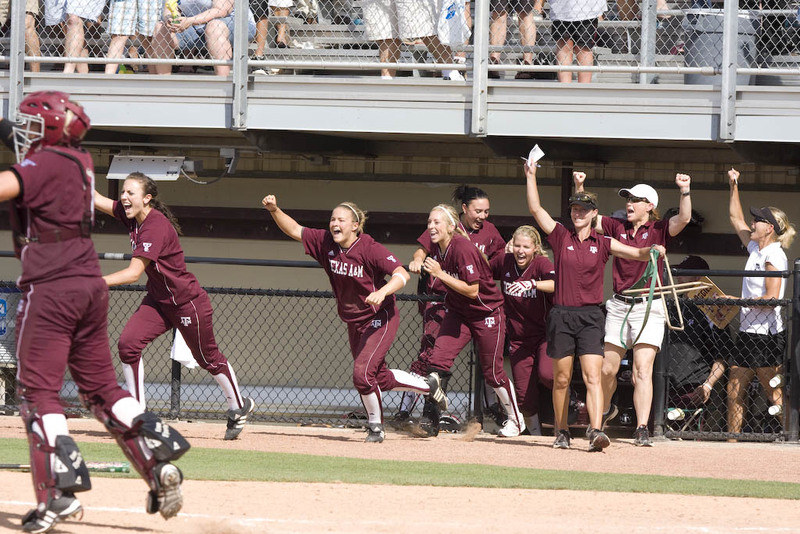 Softball has this magnificent way of proving to us that if we never give up, and we put our all into something, good things will come in return. 1) Fake it til you make it – Even if you are feeling a little down or a little off, if you have to try to work through it on game day, a lot of times you can fake yourself out into feeling good and have good results. As a girl, and as a human, I understand there are some major parts of life we aren’t and shouldn’t hide our feelings from. But when it comes to how you warmed up, or if one pitch isn’t working, or if the weather is bad, you learn to be a leader and work through some things to show yourself and your team that you can be a leader. Can’t make excuses..you just gotta go get it. 2) Don’t show your enemy your weakness– You want to appear strong and confident. You want to appear stoic, like nothing can change your emotions. When your enemy sees weakness, they know they can attack. And on the other half of that, when your enemy feels an abundance of confidence (even if it’s the fake it till you make it confidence), they can be set back a little bit and you get the apprehend. 3) Strong Presence = Leadership– Eventually you may become president of a company and many employees will be looking up to you. Because in sports you’ve practiced having a strong presence under pressure, it can translate to a real job or being on a different kind of “team.” Your presence speaks volumes about who you are as a player, a person and as a leader. We are going to make mistakes throughout games and throughout life. We can’t take ourselves too seriously. If we hang on to those mistakes, it’s so much harder to rebound and be present in the next play ahead. You quickly have to learn, but not judge, your mistakes. Be able to focus on the present play at hand without hanging on to the past. If you can give the current play your FULL focus, you are going to have a much higher chance at success! If in the back of your mind is something that happened 2 days ago, 2 weeks ago or a year ago, you will never be able to live up to your full potential. Learn from your mistakes, have them teach you, but be able to move past them. These things combined…used all together…have the ability to grow your confidence and belief in yourself more than you ever imagine. Picture a well traveled woman who is independent, confident, can multi task with ease, communicates with her peers, and isn’t scared to go in and ask her boss for what she really wants. Envision a woman in the future who lets things go quickly because she has confidence in herself and in the beauty of her dreams even when there are bumps in the road. Softball teaches us every bit of this. This is what we go through as softball players and this is what is building us and preparing us to take on the world ahead of us once we hang our cleats. I would want that woman on my team any day…….. Playing softball oddly enough prepared me to face the most difficult moment in my life. Having a child with special needs. It taught me how to fight for him, work together with doctors, teachers and therapists as a team, time management and how to fit all his needs into our daily lives, adversity, never giving up on him and to keep fighting till we have a victory, controlling emotions, staying strong…the list goes on and on….if I didn’t have all those experiences in softball I don’t think I would be as strong a mom as I am today for him! Thanks for sharing this real life experience, Tracey. You are inspiring others. Talk about multi-tasking! I always knew sports provided me some of the most fond memories of my childhood and taught me many life lessons…lessons I wanted to teach my beautiful daughter, Cassadi. However, you said it so beautifully that it brought me to tears. I can’t wait to share this article with my daughter and my “softball” family. My daughter makes me so proud because she chooses to be in band at school which a huge commitment and she plays softball year round for 2 teams. She loves horses and takes care of them everyday and occasionally takes riding lessons. Most of all I’m proud of how she balances all of that while being a fantastic student. I never have to tell her to do her homework and can’t count the times she has worked on it in the car on the way home from softball in the dark using her phone as a light. She amazes me and I am so happy to share this wonderful, inspiring article with her! Thank you for sharjng! Because you were brought to tears, I have a tear in my eye!!! Happy you have the same memories of softball that I have. And WOW, Cassadi, you go girl! Band and 2 year round teams?! Gotta love being busy – but gotta love being well rounded, too! So great! PLUS being a good student. Can’t ask for anything more! Brooklyn! It’s so amazing that at 11 you are recognizing what Time Management is and you are giving yourself credit for working on it! All we can do is recognize things we need to get better at and commit to getting better at them…and in time, no matter what those things are, we WILL get better at them! I would love to see you do a whole post on time management, Amanda (I don’t think you have before). I am getting better at it but still struggle balancing everything! You are an inspiration! As a fellow college softball player (I played professionally abroad as well), I knew of and followed your career! Bravo on continuing to share your contagious smile and work in the “real” world! I loved reading your article – thank you. Unfortunately, in our local athletic organization, the parents and politics get involved and directly affect the teams and rosters. We have lost all confidence in our travel association and try to teach our kids that life is not fair using our organization as a perfect example. Love love love this article – just read it again!!! Haha that’s funny…I did miss that one, but if you follow me on Facebook or read any of my other blogs, you will definitely see I am MOST appreciative for them and our relationship now! Do you mind if I shar this article on our 14u Travel Team Facebook Page? This is something that not only our girls should read but our parents as well. You definitely can!! Thanks for asking and THANKS for sharing! I loved your article Amanda thank you I really need that thank you so much I loved it. My daughter is 13 years old and gas been playing softball since she was 5years old. Right now she plays for a travel team, league team and town ball. She loves the game so much. I am going to give her this article to read. You are a great inspiration for her. She wants to go to Alabama for college and play softball. Thank you for sharing your story. Great Article Amanda. The funny thing is me and my oldest daughter we’re just having that conversation yesterday about most of the items you covered in your article. Its Life Lessons, Great Memories and the Travel is Bonding time with Teammates as well Family. This post really helped me gain a greater view on the game of softball. I’m 14 years old, going into highschool soon and things are really getting tough with the countless practices and endless amounts of homework. Yet after I read your post on time managment I feel really prepared to keep up my work. I’m a straight A student but also hate missing out on practices and such. It’s very challenging. I also was truly inspired by your words about being confident. I know I am not a confident person. I can be very shy but I know that once I get used to you, I begin to open up. My confidence definately needs improvement, but your post saved me! Thank you so much for sharing this with me, it keeps my love of the game strong!! With me just going into highschool and starting my freshmen teams it’s hard. And all I wanna do is break down and start crying and give up. With learning about highschool drama, And rumors. Its really hard. But knowing I have a team and I have a goal(scolarship on softball) in life is pretty hard with me being only 14. Looking up to the seniors on the varsity is hard because everybody looks out for them selfs and that’s not a team. The simplest things get to me and I try not to let it but I play with the same people I have with my whole life and they still don’t see the real me. The real player I am. My coach doesn’t play fair. He plays favorite. Which is wrong. 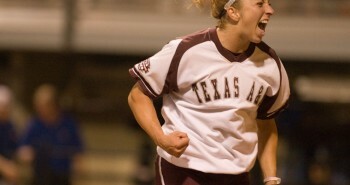 I just want to fit In and play the game I love and i am passionate about…softball. When I was a senior, I didn’t try to mentor the younger players, because I didn’t think that I was a good player myself. It might be the real reason why seniors don’t reach out to you. I never had a coach train our captains and what it really means to be a captain. Thankyou Amanda I coach softball for u13 girls and I truly love your comments here I have just started a new idea in getting the girls to help coach themselves with guidance when needed. My girls are doing an awesome job coaching themselves with my guidance and learning leadership skills along the way. Seeing this article really touched me so thankyou so much from an old coach who truly just loves softball and coaching. I get as much out of coaching my girls as I hope they get from me coaching them I still have contact and friendships now with some of the girls I coached who are now women. I have kept every thankyou card and gift I have ever got and am proud of every girl or boy I ever coached and yes I have made mistakes on the way. Beautifully said! I am somewhat removed from the every day practice of softball and pitching after graduation, but these 10 points are forever with me. I use them everyday in the real world and ALWAYS with my job. I am so pleased to have found your blog and able to read your posts. 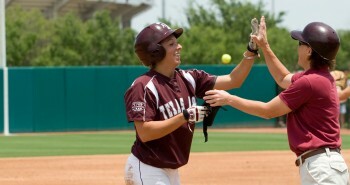 I looked up to you when I played and I’m still doing it now, with or without softball– you are motivational and real. Some of the best compliments I can get, thank you so much, Rachel! Happy to hear softball effected you in the same way! I love this article. Awesome points made about softball. As a player through college it does teach you all that you touched on. I am definitely printing this for my middle school team to read today. Hopefully, they will have a better understanding of how much softball can impact their lives. This is great information. I am a high school coach and had my girls read this, great inspiration from a great player. Keep up the good work!! Love this! What great insights for other athletes, parents and coaches! Thank you for sharing your experiences with us so that we can point our athletes in the right direction! Hi Amanda. I am a 12 yr old softball player, I just got on a travel team and you helped me understand a little more about softball. It is my 3rd yr playing softball and I love it, I also love being a catcher. Thanks for the inspiration on working even harder and communicating better with my teammates. P.S, how is/was it at A&M because I want to go to that college. Amanda, thank you for putting out there such a wonderful post. As a long time coach (47 yrs, 35 yrs baseball) one soon learns that sport can teach us so much more than just playing a game, it has so many life lessons to share that make us better people. Touching on travel for instance, I take young community baseball players and their parents from Australia to the USA every 2 years to play games against their USA counterparts and the beauty of this is it not only gives them the chance to play against the USA children but to form life long friendships, the parents also get to make new friends. As you say it gives one the chance also to see the different things about other countries and also to make us appreciate what we have back home. Would you mind if I share this post with the baseball fraternity? Once again thank you. Nicely stated. This was a good reminder of why we make the sacrifices for our daughters to play. In fact, one of my daughters is a pitcher who sees your former teammate as a pitching coach. You and Savanna are great role models for these kids. Haha go for it! Thanks of watching! Hi! I’m an 11 year old Atlantic Arsenal softball player out of South Jersey and I have been working on letting errors and past errors go. I have been learning a lot about myself and what I can do when I let either guilt from a game go and when I let a bad play go. After reading your article, I not only gained confendence, but I also helped my team stay positive. In a recent, big accomplishment at our last tournament, I hit 2 rips that hit the fence & we won 1st place. So I want to thank you, for sharing your experience! KEEP WORKING HARD KAYLA!!!!!!! Thanks for your post! I have been playing softball for 7 years now. I am 18 and have just moved and now i have a new team. I thought it was going to be hard to play with a new team. I was not going to play till I read this now I am going to give it a try. It reminded me why I loved softball so much and why i give everything to play softball. I give my hole summer to playing. I am so happy I found this 🙂 . I was requested to help coach my nieces 2-3rd grade softball team. I have very little experience coaching youth sports. It’s not a competitive travel team, but I know how valuable youth sports coaches can be. Playing multiple seasons for my two youth female soccer coaches in a Co Ed league was a wonderful experience, because it helped develop my positive attitude toward women in leadership roles. I was in the Army and I’m happy that women have more opportunities in today’s military, than even 3, 8, 10 years ago. What do you do with a pitcher that pouts, cries and unravels when she is not pitching well. Coaches continue to say they are going to pull her, but this never happens. I feel this is a very bad for her team mates to continually see. Of course, even worse, the other teams sees the non verbal posture as well as her attitude. 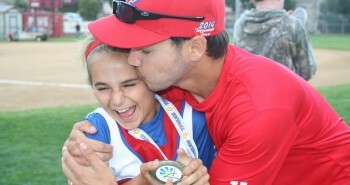 I am a 10u softball player and last summer our team made it to nationals it felt sooo good! Awesome, Lauren!!!! Happy to hear you could be coachable and driven all at the same time! Keep it up! This softball year has been great. I’m always busy for softball games. My coach wants me to be a pitcher on her team so I’ve been practicing a lot. I’m the only one that at least makes contact with the ball on my team. My first game was part of a tournament. I hit 2 doubles, I hit 2 people in, and I made 3 home runs. Since I’ve been practicing so much I pulled one of my most important muscles in my arm, and now I can’t even pitch over the base. What am I supposed to do? Take time off so that you can rest and get healthy! During that time, take the time to see the game in a different way – learn all you can and also get HUNGRY to play the game you love while you’re sitting out – make the most of it when you come back! I kind of have a problem and hopefully you can relate in some way. I am on a team right now that I love! I have amazing couches and teammates! But, Ive recently considered looking for other teams for me to be a part of. The reason is, is because I felt like I wasnt being the best player I can be. I dream of being a professional softball player, but if Im on a team where I feel like I am not doing enough to get me to the professional leagues in the future, should I look for a different team? All I am looking to do is benefit myself so I can fulfil my dream. Yet, I want to have my loyal, fun team… What should I do? Am I over thinking all of this? I am only 12… Thank you! Oh My! I love this article. I am a 13 year old softball player, I have been on 4 Travel teams and When I first started pitching, Me and my mom would sit in the car when we are at the softball field, and watch your pitching tutorials. Right now, I am doing my role model presentation and it is about you! You give so many girls my age confidence and you just make people love the game! I was just writing a paper over what my passion is, and I was struggling on how to describe my love for the game. This helped me so much, thank you! I’m 14 and I play for Glory Naudin, and my dream is to play college ball and hopefully someday be able to wear USA on my chest. 🙂 thank you for being so inspirational! Amanda, my daughter is 10 and currently plays on 2 teams, a travel ball team and our local league. She is a pitcher and also plays multiple in-field positions. How can I help her keep her from wearing her emotions on her sleeve? She is so passionate about the game but when something happens like striking out or throwing a bad pitch to someone getting her out on a good play, she shows all emotion on her face. Coaches and parents are starting to notice. I have talked to her but nothing seems to be helping. Any advice is greatly appreciated!